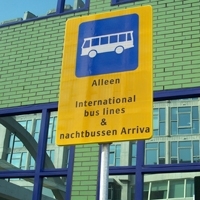 REGIOJET and Eurolines bus stop is located on Conradstraat. 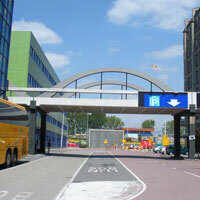 It is a street corner Weena and Conradstraat. 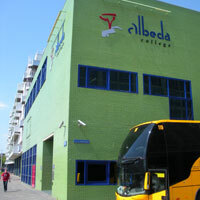 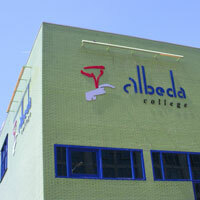 The landmark is a high-rise building with the heading "Albeda college.